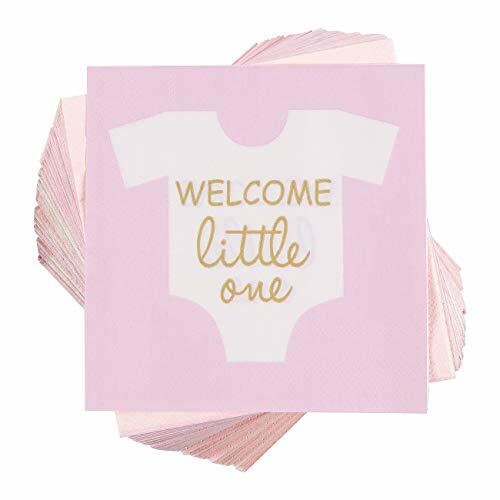 ONE PACK FOR A PARTY: 100 3-ply napkins made from paper featuring a cheerful baby shower party theme printing. These napkins are soft and absorbent--a pleasure to use. PERFECT FOR BABY GIRL SHOWERS: These napkins serve as a perfect compliment to your baby shower. HIGHLIGHT OF THE PARTY: The napkins perfectly go together with other party favors or dinnerware and make your event unforgettable.